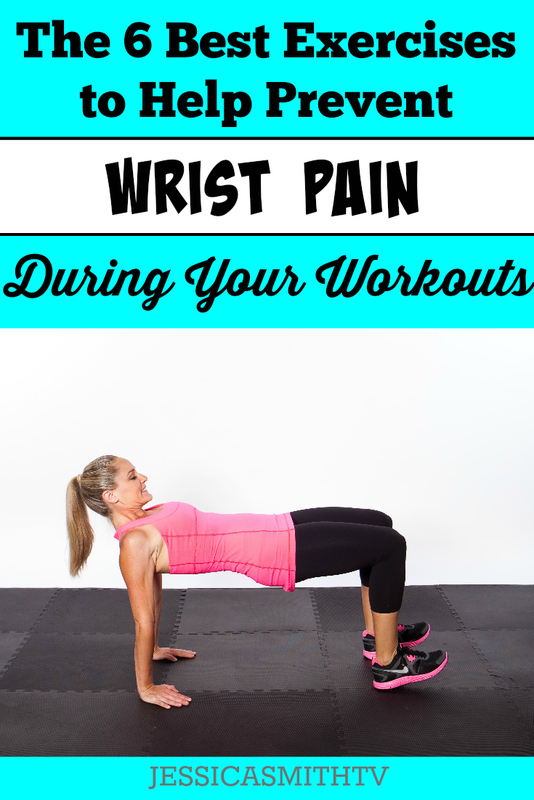 If you’ve ever experienced wrist pain during an exercise you know it’s no fun and it could even be holding you back from seeing progress if it prevents you from completing your workout! This basic, wrist focused routine is designed to help you build strength, range of motion and flexibility in the muscles that surround and support your wrists. Try these 6 strength and flexibility exercises before a workout or on their own up to 4 non-consectuive days per week. Remember, not all exercises are suitable for everyone, so if you are dealing with a specific condition or injury be sure to check with your doctor or physical therapist before trying this workout. This routine is not meant to diagnose or treat any conditions or symptoms. Be sure to see a qualified specialist for expert treatment if you experience pain on a regular basis. Need a workout that has zero planks and push ups but still packs a great punch? Don’t miss our joint friendly (and floorwork free!) “Walk On: 21 Day Weight Loss Plan!” It’s got everything you need to win at weight loss without beating up your body in the process.